Book of the Month is on Fire This Month! I've posted here before about Book of the Month, but I had to pop back on and tell you that this month's Book of the Month choices are FABULOUS, so if you've ever thought about subscribing, this is a great month to do it! This also makes a super gift in case you missed any readers in your holiday shopping this year. I get a subscription each year for my sister-in-law! The Night Tiger by Yangsze Choo (Flatiron, 2019). I just read this book and it is so amazing that I also selected it as my BOTM because I want to own it. Historical fiction set in 1930s Malaysia with a magical realism twist and unforgettable characters. 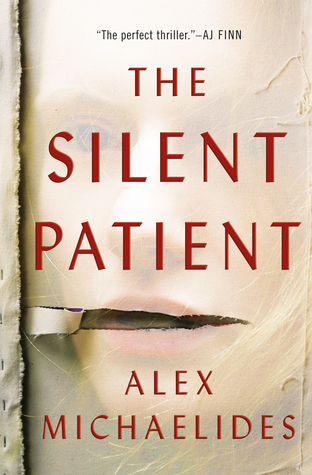 The Silent Patient by Alex Michaelides (Celadon, 2019). I haven't read this one YET but everyone is talking about it and I would not be a bit surprised if it's the Woman in the Window of 2019. 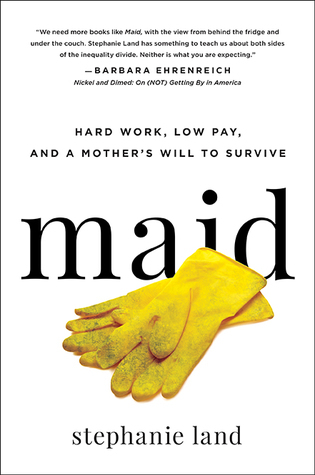 Maid: Hard Work, Low Pay, and a Mother's Will to Survive by Stephanie Land (Hachette, 2019). Blurb lists this as Evicted meets Nickel and Dimed. Yes, please! If nothing else, you can create a free Book of the Month account to see what the book selections are each month because they're often books you'll want to purchase for your library. Reading Resolutions, it's that time again! Last year, I made a bunch of goals. And I did not really complete many of them. But that's okay! I'll still take a look back at what I aimed to do last year and then think about what I'd like to do next year. I attempted Book Riot's 2018 Read Harder challenge and did not make it all the way through. My priorities changed this year and rather than struggle through reading books that I was really having trouble getting excited about, I gave up on the challenge. I wanted to focus on authors Sherman Alexie and Louise Erdrich this year, but I also didn't make my goal of reading two books by each of them, either. To be honest, stuff came to light about Sherman Alexie's alleged sexual harassment and it kinda put me off. So I shifted my focus a little to Native American authors in general and I read several fabulous ones (here are a few that I wrote about for my library's blog). I wanted to focus on short story collections this year. I did read a couple, including one of my top books of the year (All the Names They Used for God by Anjali Sachdeva), but I did not read 6, which was my goal. I wanted at least 40% of my reading to be authors of color this year. According to GoodReads, I read 152 books this year, 68 of which were by authors of color. That's 45%, so one goal met. And this is my favorite goal, so I'm definitely setting this one again. Let's look ahead to 2019. It really worked well for me not setting a numerical goal for reading in 2018. I did set a GoodReads goal of reading 50 books (later expanded to 100 books), which I did to remind myself that it's not the number that matters. I'll probably do that again this year. I love Book Riot's Read Harder challenge, but I know that I probably will not make it a priority. I would like to craft some middle grade / YA book lists around some of the categories for families reading along, so look out for that in coming months. As mentioned above, setting a goal for inclusive reading really enriched my life and I'm doing that again. At least 40% of the books I read will be by authors of color. One of the ways that my priorities have changed this year is that I have been getting involved in nominating books for Library Reads, and in particular seeking out diverse books and authors of color to submit to Library Reads. I would like to make this a priority this year and vote for at least 15 books by authors of color for Library Reads. Of course, this means I will probably read more than 15 eligible titles to find 15 that I love enough to nominate. I would like to focus on romance this year. It's a genre that I haven't read too much of and that comes under constant criticism. I don't have a specific number in mind, but I've already started a list of books I'd like to read in 2019. I welcome suggestions! What are your must-read romance titles? I really enjoyed participating in Middle Grade May this year and I'd like to do that again. I don't know if anyone cared, but I loved doing the video booktalks each week that went along with that. I'm not turning into a BookTuber, but I'd like to play around with more video booktalks and Instagram stories. What about you? What are your goals to read better this year? For the past ten days, librarians around the world have been Tweeting their top 10 books of 2018 with the hashtag #libfaves18. Check out this hashtag for a snapshot of what books are popular with librarians this year. This is a great tool for collection development and reader's advisory and the books run the gamut from adult to children's and covering all kinds of genres. Head over to RA for All where Becky has a great post about how to use #libfaves18 and past LibFaves lists in your reader's advisory. While the official #libfaves18 posting ends today, starting tomorrow librarians can chime in with honorable mentions, using the hashtag #libfaves18HM, so keep an eye out for that, too. 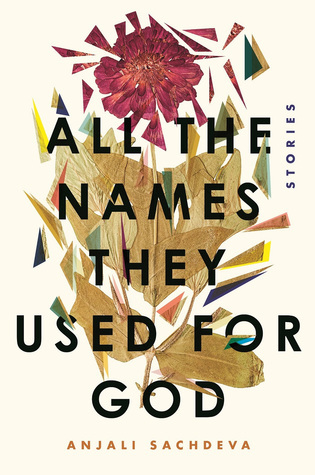 All the Names They Used for God by Anjali Sachdeva (Spiegel & Grau). This stellar short story collection is so rich with strange and striking imagery that the stories have stuck with me since I read this book early in 2018. 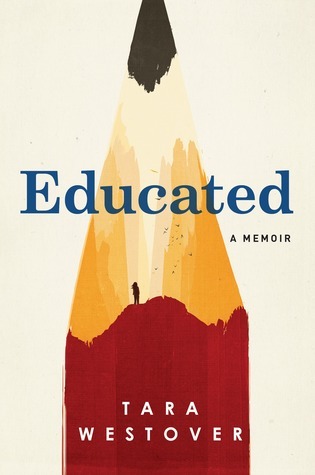 Educated by Tara Westover (Random House). I actually read this book twice this year because I read it as a galley before it came out and I reread it for my book club. I hand this riveting memoir to anyone who asks me for a good read. 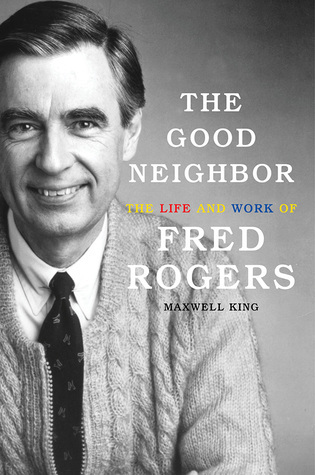 The Good Neighbor: The Life and Work of Fred Rogers by Maxwell King (Abrams). This biography of Fred Rogers is a great read for anyone who watched Mr. Rogers growing up or who has an interest in early childhood education and media. The audiobook, read by LeVar Burton, is super. Hearts Unbroken by Cynthia Leitich Smith (Candlewick). I love this teen novel about a Muscogee teen trying to find her way and not accepting crap from anyone. I love how strong Louise is as a protagonist and how she stands up against the racial microaggressions (and aggressions!) that happen to her as she navigates love, school, and family. 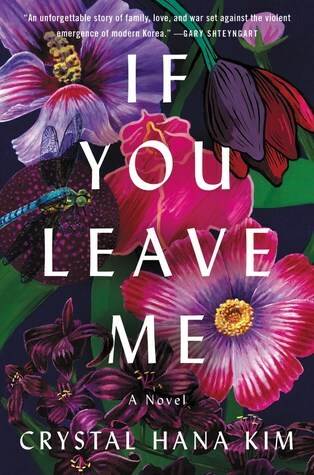 If You Leave Me by Crystal Hana Kim (William Morrow). This is an unforgettable family saga set in Korea during and after the Korean War. Choices made by the characters will affect their family for generations. I just couldn't put it down this summer. The Night Diary by Veera Hiranandani (Dial). Nisha, half-Muslim and half-Hindu, must leave her home when India is partitioned into two states and Pakistan is created. This moving story would be a great read for young folks who like Diary of a Young Girl or Malala. 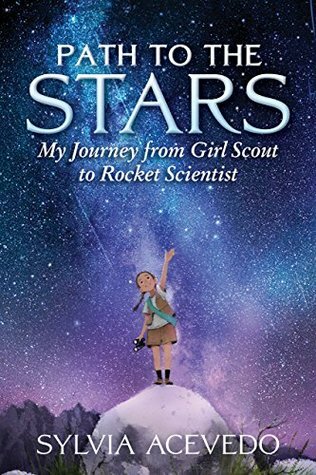 Path to the Stars: My Journey from Girl Scout to Rocket Scientist by Sylvia Acevedo (Clarion). This book made me wish I had been a Girl Scout! This memoir from Girl Scouts CEO Sylvia Acevedo talks about her childhood growing up in New Mexico and the skills she learned from Girl Scouts that she wouldn't have had the opportunity to learn otherwise. Hand this to kids interested in life 50 years ago and especially any devoted Scouts or former Scouts. 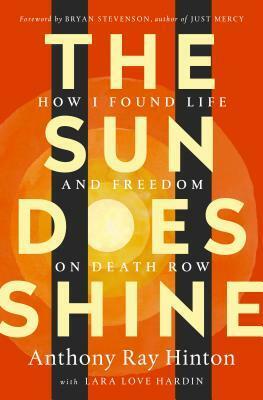 The Sun Does Shone: How I Found Life and Freedom on Death Row by Anthony Ray Hinton (St. Martin's Press). This is another book that I found myself telling everyone about, a riveting memoir about a man on death row for a crime he didn't commit. 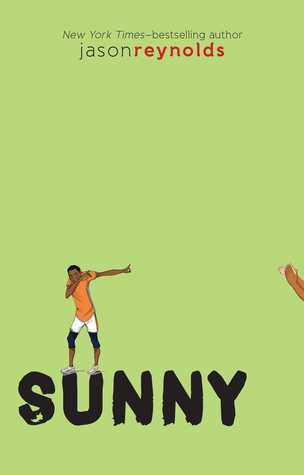 Sunny by Jason Reynolds (Atheneum). I am a big fan of the entire Track series, but I think Sunny's my favorite. This story of a weird kid, a kid who really sees the world differently and struggles to find his place within it, just struck a chord with me. Don't miss this entire series. 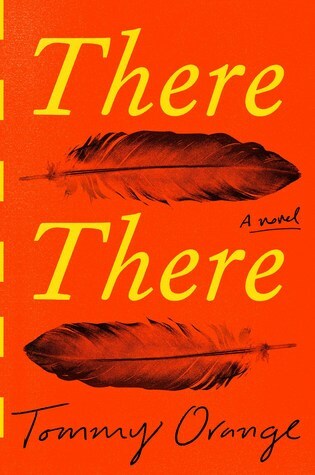 There There by Tommy Orange (Knopf). I loved Tommy Orange's debut novel featuring a diverse cast of urban Native Americans brought together by a powwow in Oakland. A great choice for readers of character-driven fiction or books in urban settings. I can't wait for more from Tommy Orange. Stack of books in front of the Christmas tree! As the year draws to a close, many youth librarians' minds turn to the upcoming ALA Youth Media Awards. This year these awards will be announced on Monday, January 28 and the committee members have been hard at work reading and rereading and taking notes to get ready for their meetings. Throughout the country people are wondering what titles will be chosen and some folks are even participating in their own "mock" discussions. There are many of these discussions happening all over, both in person and online. Take a look at your local libraries or bookstores to see if one is happening in your area. Or check out School Library Journal's Heavy Medal Blog, which is running a Mock Newbery discussion online. This year, I plan to join in a Mock Newbery discussion at the Allen County Public Library in Northern Indiana. It's a bit of a trek for me, but I know it'll be a great discussion and I'm nerdily excited to take part. So while I'm gearing up for Christmas with my family and wrapping up my work year, I'm also reading and rereading the books we'll be discussing. 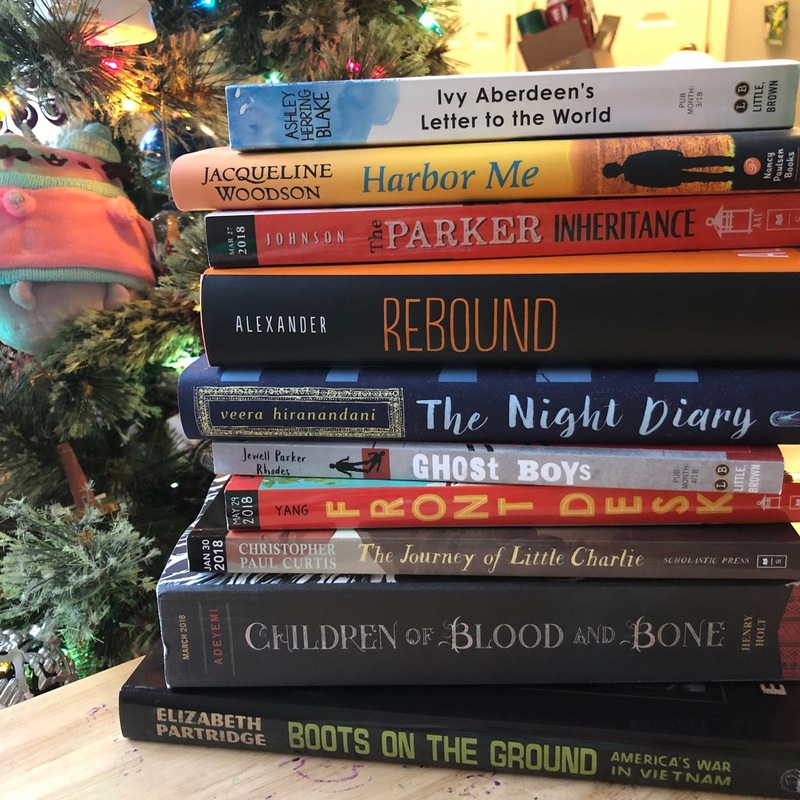 Participating in a Mock Newbery discussion is definitely less intense than the actual committee members preparing for their meetings, but I still want to make sure to take notes, read all the titles, and reread the ones I haven't picked up since I read them months ago. We have such a great year of books to choose from! I find it so interesting that the different discussions can have such vastly different reading lists - it makes you appreciate how much work the actual committee members are putting in, since they are trying to read EVERYTHING that could possibly be considered. When I checked the ACPL's Mock Newbery list against the Heavy Medal list, only about half the titles overlapped. One reason is that mock Newbery discussions tend to limit the number of books on the list for practicality. The ones I have seen range from 10-25 titles, whereas the actual Newbery Committee could potentially be discussing 85+ titles (we'll never knoooooow). The ALSC Blog is collecting results of Mock Youth Media Awards discussions from all over the country and I am so excited to have our discussion and add our results to the list! I wonder what will happen! Now, I've got to go... I have reading to do! Have you read any of these books? What did you think? What are your front runners for the Youth Media Awards this year? If you've been following along, you know that for the past twelve days I've been posting suggestions for great books to buy the young people in your life. Here's a roundup of all my suggestion lists! December 3: Book to Screen - books turned into movies or TV shows, good bets for tweens or teens if you're not certain what to buy! What books are you buying for the young readers in your life? I'll be posting themed book lists with book giving ideas for a variety of ages and interests every day Dec. 1 - 12. Check the label Twelve Days of Giving for all the lists. Shopping for someone specific? Drop me a comment with ages/interests (including adults!) and I'll be happy to make some suggestions. Don't forget your local indie bookstore and if you don't have a favorite indie, might I suggest ordering from The Bain Lair Bookstore? I've had so much fun putting together these lists of great gift books for you, but of course there are favorites that didn't really fit anywhere else, so my last list is going to be the rest of my favorites from 2018. Enjoy! 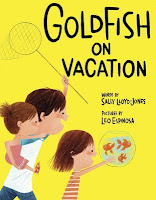 Goldfish on Vacation by Sally Lloyd-Jones, illustrated by Leo Espinosa (Schwartz & Wade, 2018). This is a really cute book about some kids who want to send their goldfish on vacation and turn a city fountain into a goldfish pond for neighborhood goldfish. Based on a true story (! ), this is a fun book for pet lovers. 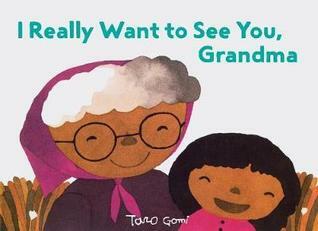 I Really Want to See You, Grandma by Taro Gomi (Chronicle, 2018). This sweet picture book perfectly captures that special relationship between a girl and her grandma. When Yumi and her grandmother each have the same idea - they want to see each other - they both set off and ending up missing each other completely. This would be a perfect gift from a grandma to a granddaughter (and yes, I bought it for my mom and niece!). Julián is a Mermaid by Jessica Love (Candlewick, 2018). 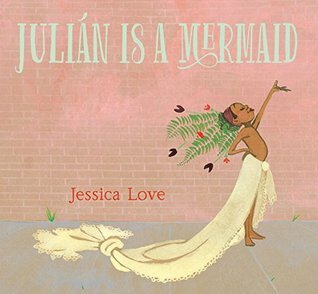 On their way home, Julián and his abuela see a group of ladies spectacularly dressed up and he can't stop thinking about dressing up like them, like a mermaid. He sets about making his own costume, but what will his abuela think when she sees? This is a celebration of individuality and loving who you are. 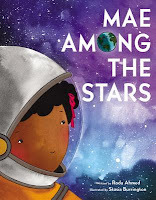 Mae Among the Stars by Roda Ahmed, illustrated by Stasia Burrington (HarperCollins, 2018). This picture book biography shows Mae Jemison as a young child, dreaming of being an astronaut. I love the gorgeous illustrations. This would make a great gift for girls interested in science. 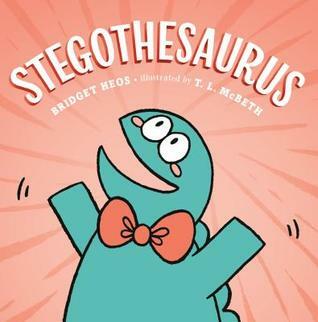 Stegothesaurus by Bridget Heos, illustrated by T.L. McBeth (Henry Holt, 2018). Perfect for dinosaur lovers or word lovers, Stegothesaurus can't help but come up with synonyms for everything, much to the chagrin of his stegosaurus brothers. When he meets an Allothesaurus, he is happy/esctatic/joyous until he realizes that his new friend's idea of a good meal is a little dangerous to his health. 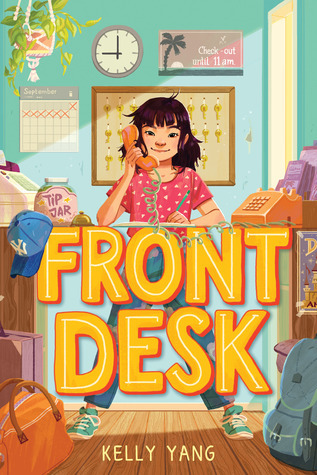 Front Desk by Kelly Yang (Scholastic, 2018). An engaging story with a protagonist that kids will love to root for and also an important story about immigration experiences in this country told in a really kid-friendly way. Mia Yang helps out at the hotel her immigrant parents manage, running thr front desk while they clean the rooms. But their motel is more than meets the eye as Mia's parents offer rooms to fellow immigrants who need a place to crash... as long as the owner doesn't find out. 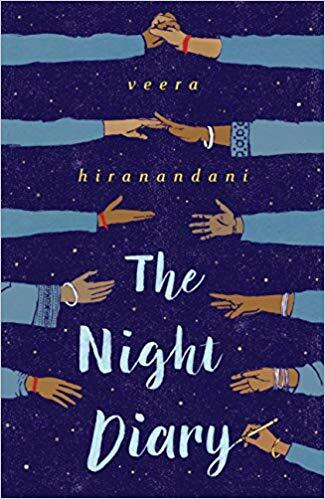 The Night Diary by Veera Hiranandani (Penguin, 2018). After the partition of India creates the new nation of Pakistan, Nisha and her family must relocate. But Nisha, half-Muslim and half-Hindu, is no longer sure where she fits in. This historical novel would make a good choice for readers of Anne Frank's Diary of a Young Girl. 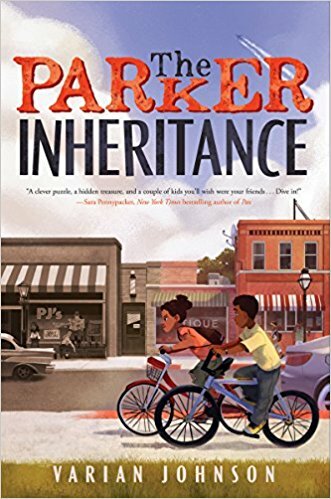 The Parker Inheritance by Varian Johnson (Scholastic, 2018). Candice and Brandon undertake a mystery that has plagued their town for years - a search for a hidden fortune that will have them investigating the town's history. This is a great choice for fans of mysteries like The Westing Game. The Season of Styx Malone by Kekla Magoon (Wendy Lamb, 2018). This book starts out with Caleb accidentally trading his baby sister for a bag of fireworks. And then Styx Malone came around and Caleb's life was never the same. This is a book with lots of humor and heart, but also a serious side. Small Spaces by Katherine Arden (Putnam, 2018). If you're shopping for a scary story lover this year, this is the one for you. On the way home from the field trip, the bus breaks down close to dark. The creepy bus driver warns Ollie "Best get moving. At nightfall they'll come for the rest of you." And Ollie's long-broken digital watch, a keepsake from her mother, starts displaying a countdown and one word: RUN. Shivers abound. 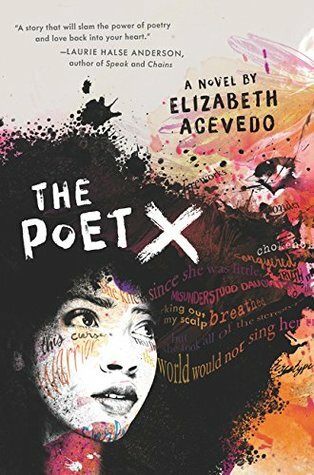 The Poet X by Elizabeth Acevedo (HarperTeen, 2018). Xiomara is a poet. She puts her feelings into poems that she writes in her notebook, helping her navigate the world she lives in. Her mother is a devout Catholic and wants her to be that way, too, but Xiomara has doubts. This novel in verse is a great choice for teens starting to question their world and figure out their place in it. And that's it for this year's Twelve Days of Giving! I hope you found something for a reader on your list! It's hard to go wrong with graphic novels. They have wide appeal and kids and teens who like to read them often can't get enough. My oldest niece has been into graphic novels for years, so I always know I can pick out my favorites for her for Christmas. Here are some of my favorite graphic novels for young readers. 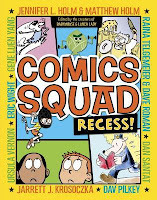 Comics Squad series edited by Jennifer Holm and Matthew Holm (Random House). 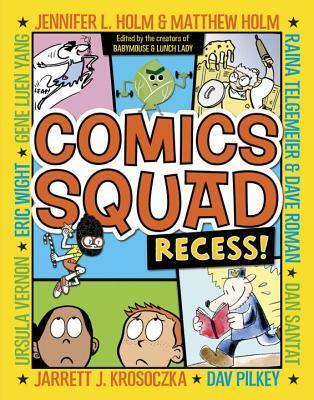 These compilations include a bunch of comics written by today's hottest comic authors around a central theme. They are a great choice for comic enthusiasts who are new to graphic novels or for kids that you're not certain what kind of comics they would like (since each includes many different styles). The Great Pet Escape by Victoria Jamieson (Henry Holt, 2016). 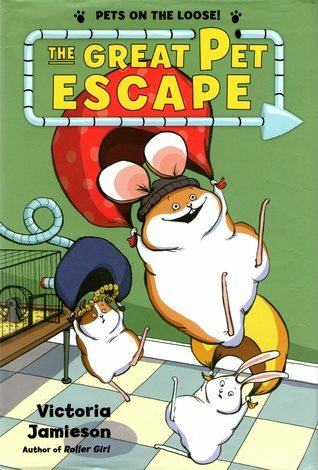 This super cute and funny graphic novel features a trio of class pets determined to break out of school and regain their freedom... until the 4th and 5th grade pets come up with a dastardly plan to prank the students. There are tons of cute and funny details in the pictures that kids will enjoy looking for. This is an early chapter book graphic novel, perfect for the younger elementary set, though older kids may well enjoy it as a quick read. Hand this to your animal lovers. 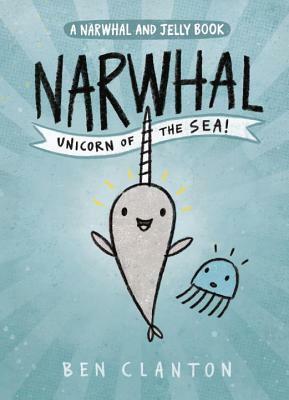 Narwhal: Unicorn of the Sea by Ben Clanton (Tundra Books, 2016). My goal is to get everyone to buy the Narwhal and Jelly books this holiday season. They are so super cute and funny and a hit with a wide range of ages. This adorable friendship tale will appeal to kids who love to laugh and kids who enjoy friendship stories. And also everyone. 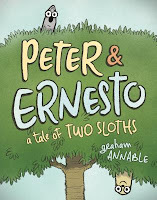 Peter and Ernesto: A Tale of Two Sloths by Graham Annable (First Second, 2018). 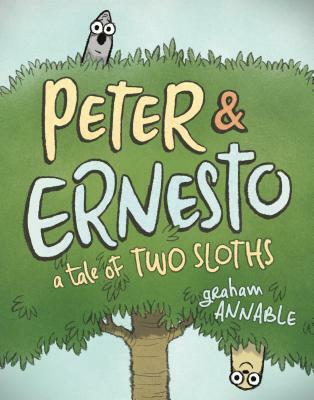 This is an adorable graphic novel about two best sloth friends who are very different - Ernesto has a very adventurous soul and he decides that he wants to see "all the sky" and sets off on a journey. Peter misses his friend and worries that something will happen to him, so eventually he sets off in search of Ernesto. They both end up having adventures and they both end up right where they belong. All's Fair in Middle School by Victoria Jamieson (Dial, 2017). Victoria Jamieson presents a story about navigating middle school but with a twist. Imogene's grown up spending summers with her Renaissance Faire family. Now she's starting middle school (her choice) after years of being homeschooled. Middle school, it turns out, is trickier than Imogene had anticipated. This is a character-driven story with lots of great Ren Faire details woven throughout. 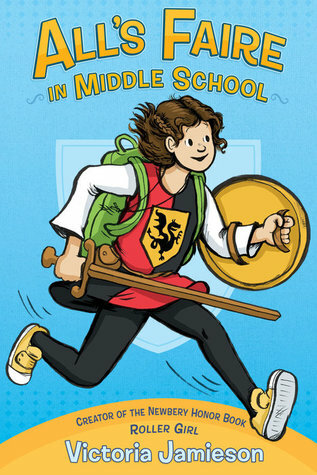 It's great for readers who like stories about girls navigating middle school life. Be Prepared by Vera Brosgol (First Second, 2018). Vera, daughter of Russian immigrants, feels like she never fits in, especially when all the kids in her neighborhood go away to summer sleepaway camp. Vera wants desperately to go away to camp, but when she finally gets to go, the Russian culture camp is nothing like she thought. From outhouses and the threat of bears in the woods to the very real threat of mean girls in her tent, Vera may have gotten into more than she can handle. 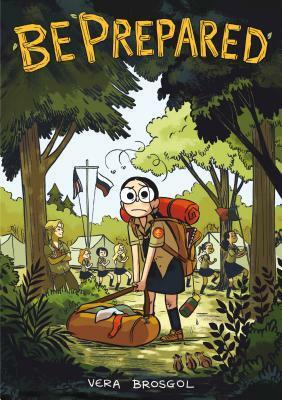 This autobiographical tale is a great choice for fans of Raina Telgemeier and El Deafo. 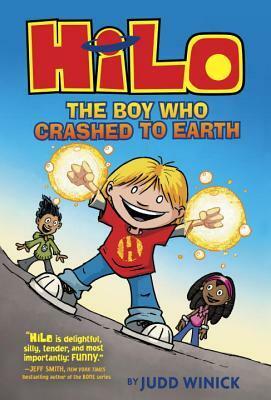 Hilo series by Judd Winick (Random House). This is one of my favorite graphic novel series, a science-fiction story with tons of humor and adventure. When DJ's best friend moves away, he's feeling left behind when a new friend literally falls from the sky. Hilo crashes to earth with no idea who he is or what he's supposed to be doing. He'd better figure it out quick because there's something on the way to Earth, something bad. 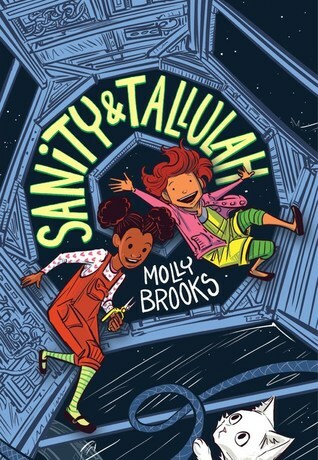 Sanity and Tallulah by Molly Brooks (Disney-Hyperion, 2018). Sanity and Tallulah are best friends who live on a space station. When Sanity is caught doing a science experiment she shouldn't be doing, she's forbidden from continuing it. Unfortunately Princess Sparkle Destroyer of Worlds, the three-headed cat Sanity biologically engineered, escapes and starts to wreak havok on the ship. Can Sanity wrangle her experiment or is there something else going on? This is a fun science fiction adventure story with two strong girl heroines, perfect for young scientists. 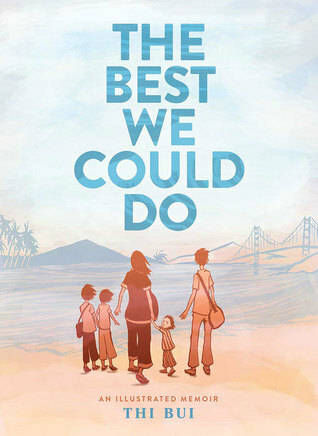 The Best We Could Do by Thi Bui (Abrams, 2017). This graphic novel memoir details one family's escape from war-torn Vietnam and their journey to America. Author Thi Bui, born in Vietnam and fleeing to the United States as a small child with her family, tells the story of her parents, their life in wartime Vietnam and their subsequent immigration to the United States. Bui examines how events in her parents' pasts have shaped who they are and who she turned out to be, issues she's reflecting on since she is now a parent herself. This is a great choice for readers of memoirs or anyone interested in refugee stories. 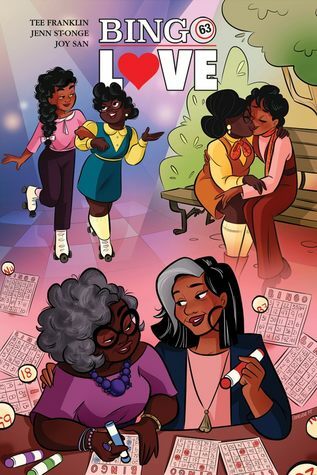 Bingo Love by Tee Franklin (Image Comics, 2018). Hazel and Mari meet at church bingo in 1963 and fall for each other, but in 1963 it's impossible for them to be together the way they want to be. They connect years later when they can finally really be together in this sweet f/f love story. Hand this to teens looking for love stories. Hey, Kiddo by Jarrett Krosoczka (Graphix, 2018). 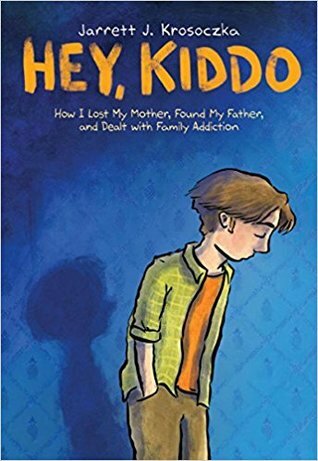 This powerful graphic memoir is an important story as Krosoczka writes from his experience as the child of a drug addict, raised by his grandparents. This book is a testament to the power of art to save. 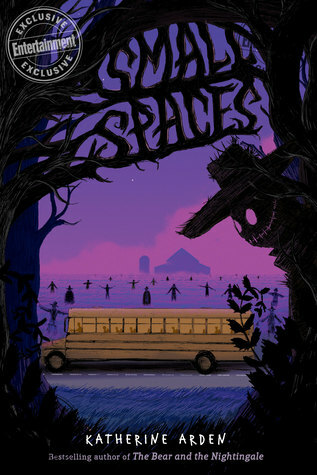 This is one of the most talked-about graphic novels of the year - a good choice for teens who like intense family stories. 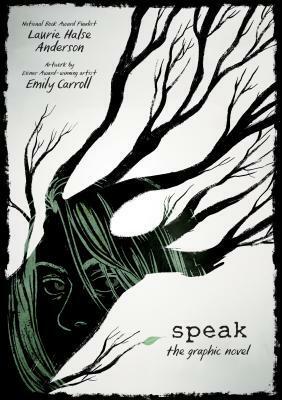 Speak: The Graphic Novel by Laurie Halse Anderson and Emily Carroll (Farrar, Straus, & Giroux, 2018). This graphic novel adaptation, published on the classic YA novel Speak's 20th anniversary, introduces this powerful novel to a new generation. It's really well done with intense, black and white art that reflects the mood of the story. For readers who have read and love Speak or teen readers who are new to it, this is a great choice. If you are shopping for graphic novel readers this year, I hope you'll find something on here for the reader on your list. If you're shopping for socially conscious tweens or teens this year, there are lots of great choices for books that will make young readers think and that make for great discussions. 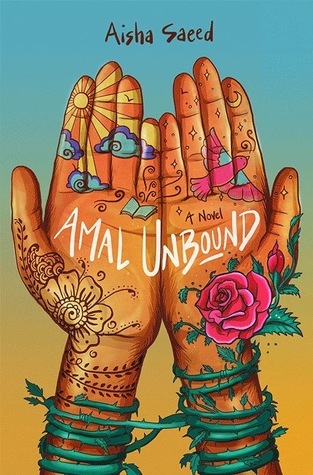 Amal Unbound by Aisha Saeed (Nancy Paulsen Books, 2018). When Amal has a run-in with a powerful man at her Pakistani market, she finds herself in debt to him. Her family is poor and the only way she can pay off the debt is by working in indentured servitude at the Khan estate. For kids who are interested in the plights of kids in other countries or reader's of Malala's book, this is a super choice. 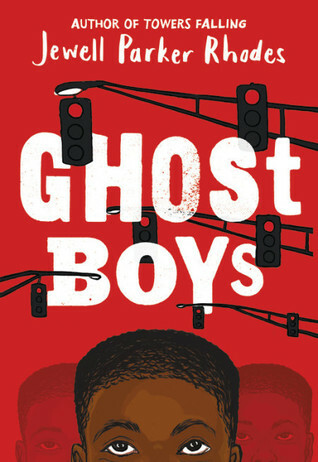 Ghost Boys by Jewell Parker Rhodes (Little, Brown, 2018). Narrated by the ghost of a boy shot and killed by a police officer, this is a middle-grade novel for kids interested in The Hate U Give but not quite ready for teen novels. The only person who can see Jerome's ghost is 12-year old Sarah, the daughter of the officer that shot him, so we see how that tragic mistake has affected her family, too. This is a heart-wrenching book for kids ready to enter into some heavy discussion or who are concerned about stories they're seeing on the news. P.S. 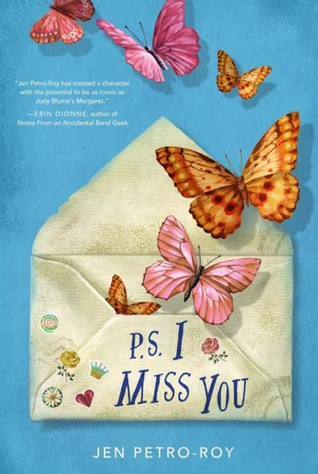 I Miss You by Jen Petro-Roy (Feiwel & Friends, 2018). Evie misses her big sister Cilla. Cilla did what no good Catholic girl does: she got pregnant and her parents sent her away to have the baby. Evie misses her sister and doesn't understand why Cilla won't write her back. Evie could really use Cilla's advice... because Evie's got her first crush... and it's on a girl. This middle-grade novel deals with a lot of big issues and I especially appreciated how Evie deals with all of it in light of the faith she's been raised in. Refugee by Alan Gratz (Scholastic, 2017). Told in multiple perspectives, this novel shows refugee journeys from three different time periods in history. 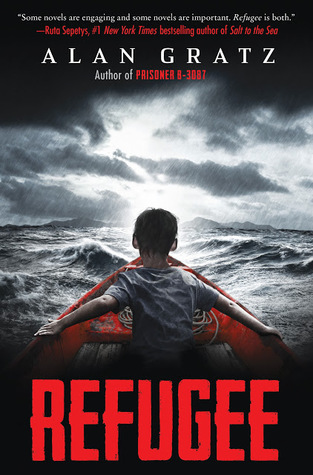 It's a riveting adventure story and a heart-wrenching drama that will appeal to kids who like action-filled stories or kids who have been hearing about refugees on the news. 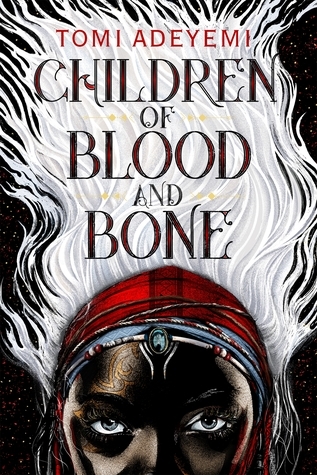 Children of Blood and Bone by Tomi Adeyemi (Henry Holt, 2018). 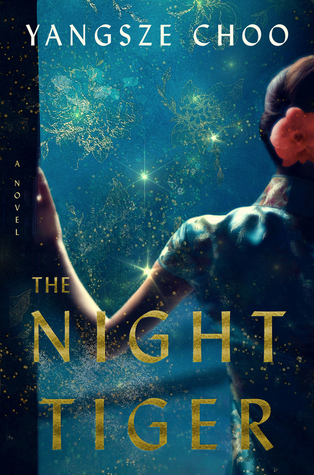 This is a riveting fantasy story that's great for fans of magical stories, but with its focus on class and oppression, this is also a great choice for teens noticing oppression in the world around them. When the magic disappeared from their world, the monarchy attacked the maji, making them into the lowest class. Zelie has a chance to bring the magic back to her world, but it's going to take a harrowing journey to make it happen. 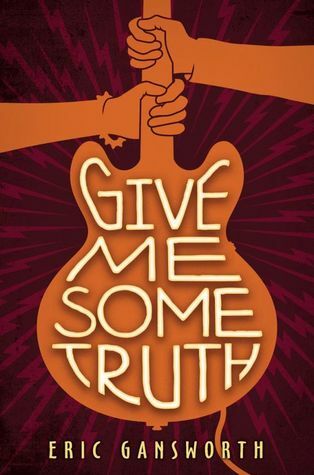 Give Me Some Truth by Eric Gansworth (Scholastic, 2018). All Carson really wants to do is win Battle of the Bands and get a start on his music career. But when his brother has an altercation at the local, racist restaurant Custard's Last Stand (a particularly offensive name to the Indians living on the nearby Tuscorora reservation), Carson finds himself getting involved and his actions have repercussions beyond what he could have imagined. This is a particularly good choice for young musicians and fans of classic rock, but hand this to any teen interested in activism. 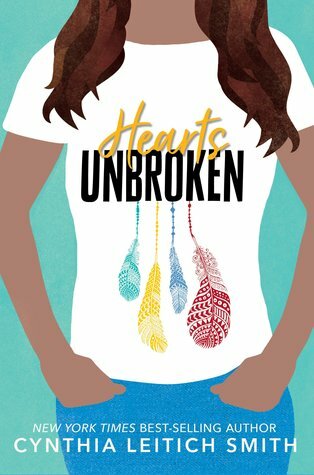 Hearts Unbroken by Cynthia Leitich Smith (Candlewick, 2018). Not only is this a great character-driven story about a teen figuring out what she wants in relationships and life, but I love how protagonist Louise stands up to the microagressions she experiences as a Muscogee (Creek) woman. This is a great choice for readers who like strong characters to identify with or books about contemporary teens figuring life out. 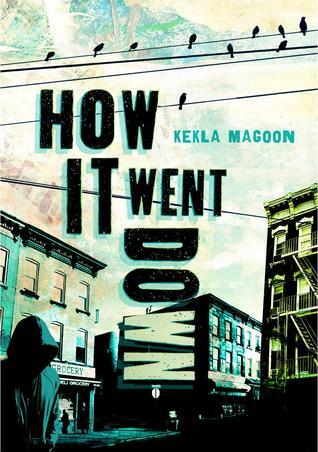 How It Went Down by Kekla Magoon (Henry Holt, 2014). When 16-year-old Tariq is shot, different people have different ideas of how it went down. This novel is told from multiple perspectives and will really get teens thinking about how the same event can look different to different people as Tariq's community struggles to deal with the tragedy. 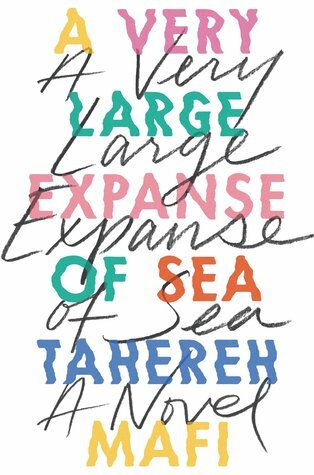 A Very Large Expanse of Sea by Tahereh Mafi (HarperTeen, 2018). Set in 2002, just post 9/11, this book is about a Muslim-American teen Shirin navigating high school in a hostile world. She knows exactly how cruel people can be, which is why she usually tunes them out, taking advantage of her hijab to hide her earbuds. But her new lab partner Ocean is impossible to tune out and before long Shirin wonders if she could actually be falling for him. But Shirin knows that it could never work out between her and a white guy. Even if her parents would accept him, she'd be putting him in the crossfires of racism that he's never experienced before. This is a good choice for readers who like love stories, but not necessarily romance. Any of these might make great choices if you're buying for tweens or teens interested in current events, social justice, and improving their world.